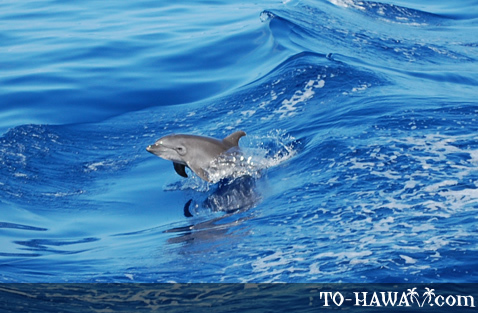 The two most common dolphin species in Hawaii's nearshore waters are spinner and bottlenose dolphins. Many people dream of watching dolphins or even swim with them in the open ocean. 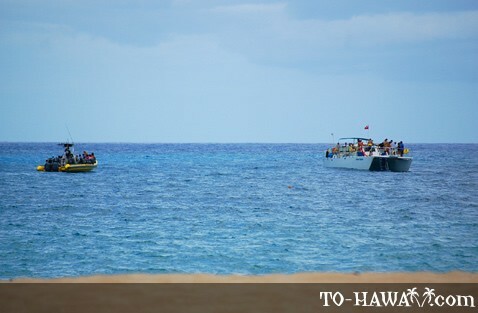 There are several companies in Hawaii that offer dolphin watching cruises that sometimes include snorkeling. Before going on a dolphin watching cruise or swim out to deeper offshore waters in pursuit of dolphins, it is good to know the rules. 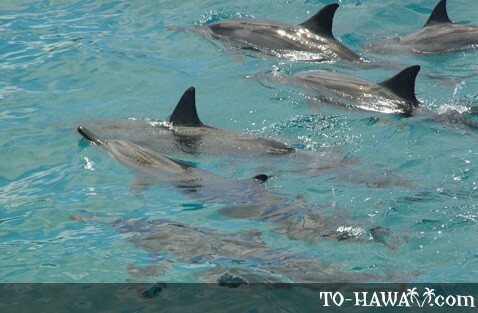 Dolphins in Hawaii are protected by the Marine Mammal Protection Act, which prohibits any taking of marine mammals meaning to "harass, hunt, capture, or kill" and "any act of pursuit, torment, or annoyance which ... has the potential to disturb a marine mammal or marine mammal stock in the wild by causing disruption of behavioral patterns." However, this does not mean the dolphins cannot approach you. Some dolphins are playful and they may choose to come close to boats or swimmers. But if they prefer to keep a distance, boats and swimmers should not chase them. 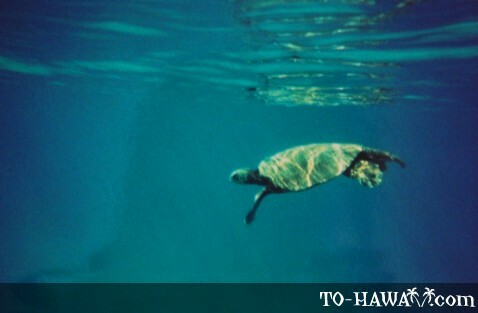 The National Oceanic and Atmospheric Administration (NOAA) has put out guidelines for responsible marine mammal watching – a marine mammal and sea turtle viewing code of conduct, which advises people to stay at least 50 yards away from wild dolphins and turtles (see guidelines here: http://www.nmfs.noaa.gov/pr/education/hawaii). 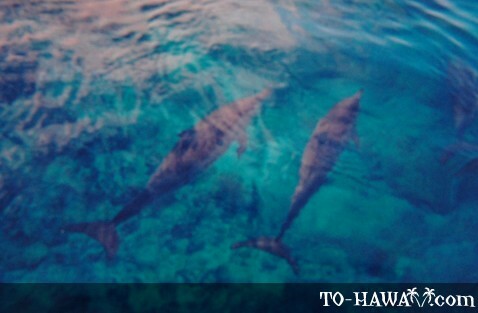 If you're planning to go on a dolphin watching cruise in Hawaii, you might want to bring binoculars to get a better view of the dolphins, known as nai'a in the Hawaiian language. 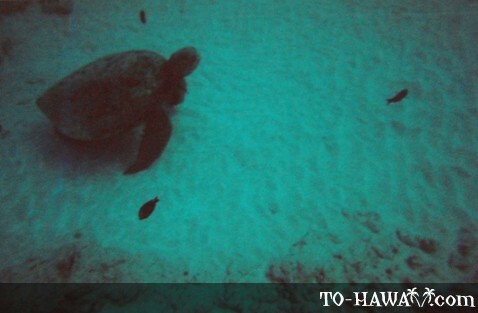 Besides dolphins, you might also spot green sea turtles (honu), flying fish (malolo) and whales (kohola) in the winter season (November through March). Sometimes these cruises that include snorkeling take their guests to what they call "turtle towns" or "turtle cleaning stations." 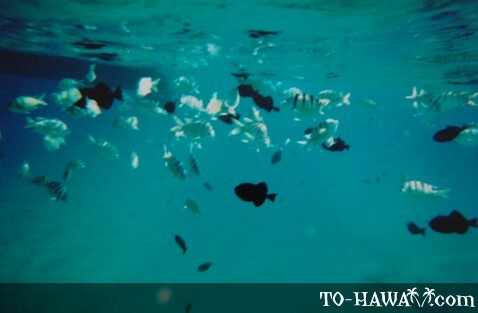 These are areas where turtles like to hang out and enjoy having their shells cleaned by surgeonfish and other algae eaters (who feed on algae that grows on turtle shells). 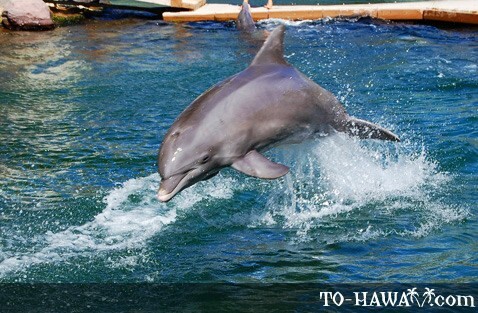 In Hawaii you also have the option to come close to dolphins in a marine park and participate in interactive programs. 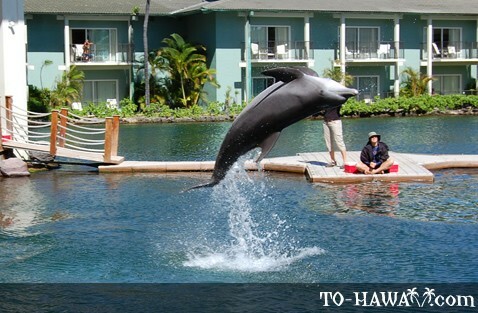 This is possible at Sea Life Park Hawaii on Oahu or at the marine research and educational center called DolphinQuest on Oahu or the Big Island. Both offer daily education programs, where you can learn about dolphins, get close to them in the water or simply watch them. 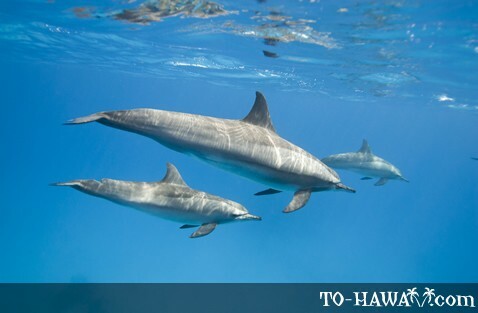 If you want to learn more about dolphins and other marine life in Hawaii, you may also want to visit the Waikiki Aquarium on Oahu or the Maui Ocean Center on Maui. Both have many interesting marine life exhibits and aquariums. 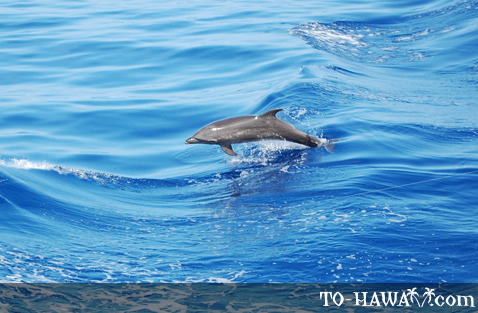 Spinner dolphins are most commonly seen along Hawaii's shorelines. At night they swim to their feedings grounds in the deeper waters offshore and return to the shallow nearshore waters in the morning to rest. This rest behavior is characterized by swimming close together in groups, surfacing synchronously to breathe and gliding along the ocean bottom in a “carpet” formation. They swim in pods of between 10 to 100 dolphins. Spinner dolphins are known for their aerial antics and acrobatics (leaping out of the water and spinning around its longitudinal axis, head and tail slaps, etc.). A grown spinner dolphin is about 6 feet (2 m) long and weights 175 pounds (80 kg). Bottlenose dolphins are larger than spinner and spotted dolphins. Adult bottlenose dolphins are 6 to 13 feet (2 to 4 m) long and weigh between 440 to 600 pounds (200 to 300 kg). They usually swim in smaller pods of up to 10 individuals. The bottlenose dolphin's name comes from its elongated upper and lower jaws.